Drilling isn’t easy for all DIY construction enthusiasts out there, and they will eventually run into a problem involving a very tough metal that simply won’t cave in. Below are six tips to make the process safer, easier, and faster. General purpose equipment will do a good job of drilling into metals. The majority of drill bits are manufactured to drill through a variety of different materials, including wood and plastic. Low-quality twist bits are composed of high-speed steel, and they are sufficient in most cases. If you plan on drilling through lots of holes and hard and abrasive metals like stainless steel, then it is a good idea to increase your budget for black oxide or cobalt steel drill bits. These bits can drill more holes before becoming damaged or useless. 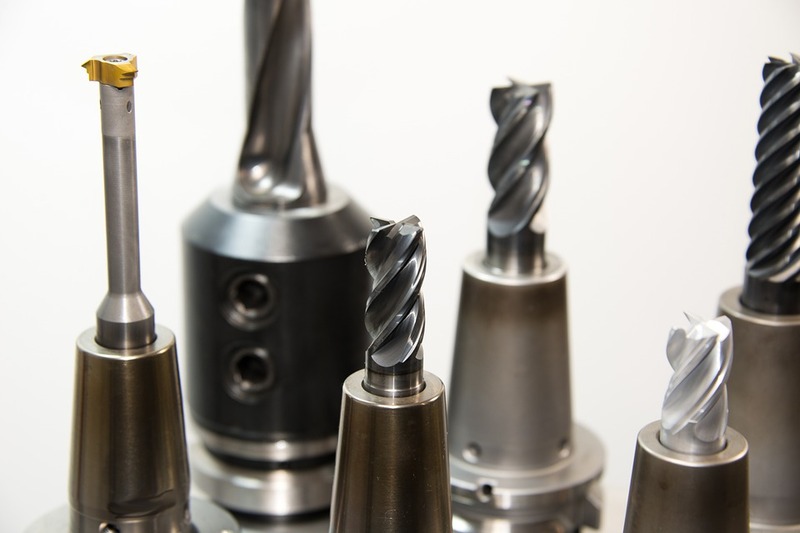 Some drill bits are coated with titanium nitride, which is more resistant against heat and friction, making them more durable than standard steep bits. All it takes is one small metal fragment that you unaccounted for during the drilling session to cause serious eye injury. It is important to take proper eye protection when drilling the meal bits. For best results, you should invest in safety glasses that wrap around the side of your face. Most drill bits have a tendency to move tangentially across the surface against the applied pressure. There is a neat trick that can help you avoid this. Simply mark where you want to carve the hole and then create a small dent using a hammer and center punch. This will provide support to the drill bit once you start drilling. Lubricated drilling bits last longer because it minimizes friction and heat buildup, and even makes the drilling process easier. If you’re drilling steel that is thicker than 1/8th of an inch, it is ideal to use cutting fluid. For drilling applications through softer metals like brass, cast iron or aluminum, it isn’t necessary to use lubrication. Perhaps to save time or money, or both, many users skip one of the most essential drilling safety practices; which is to use clamps to fasten the metal instead of using one hand to hold the metal while drilling with the other. The drill bit would wander off base, cause the metal to spin and ultimately slash the skin and through to the bone! It is always recommended to use at least two clamps to fasten the metal piece before drilling through it. Before carving large holes, it is always an ideal step to start with a small hole. It is common for most drill bits to be up to 1 inch in diameters, but for the best results, you should always start small with a ¼ inch drill and then use larger bits in quick successions until you reach your required drill bit size.